The movie industry is absolutely enamoured of two things — scandal, and stories about the movie industry. So there's no doubt that we're going to be watching films and TV shows about Harvey Weinstein's decades-long sexual misconduct allegations for years to come. Untouchable probably won't serve as the best film about Weinstein, but it's definitely the first. Produced by BBC and directed by veteran television director Ursula Macfarlane, Untouchable is not exactly a highbrow art film. Nor is it a groundbreaking work that will shed too much new light for those who followed Weinstein's downfall in the media. Instead, it's a serviceable doc that's heavy on talking-head narration and plenty of stock footage (including shots of hotel rooms and black SUVs as they're mentioned in interviewees' stories). The film does benefit from Macfarlane's deft interview skills — her subjects, most of whom are Weinstein's alleged victims, are given plenty of time to open up on screen, often sitting in silence and tearing up as they recount their horrors. Still, the film feels like it lacks a strong enough direction. 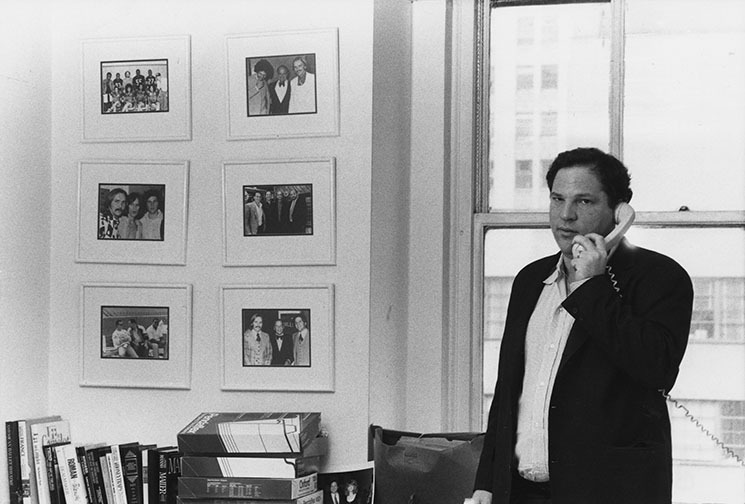 Though it's built around the stories of Weinstein's victims and the breakthrough journalism from Ronan Farrow and others that finally took him down, there's also a long, fawning section about the glory days of Miramax and the mega producer's eye for good movies. This serves as a framework Weinstein's former employees to defend themselves for standing by him for so long (all of the men did, after all).